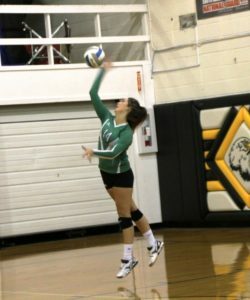 Colome volleyball team was defeated by Andes Central/Dakota Christian in three sets on Sept. 25. Colome was defeated 23-25, 22-25 and 15-25. Haley Krumpus scored 8 points with one ace and Makayla Shippy had 7 points. Saydee Heath had 11 kills. Rayne Hermsen had 17 digs, with 14 for Shippy and 12 for Kaydee Heath. 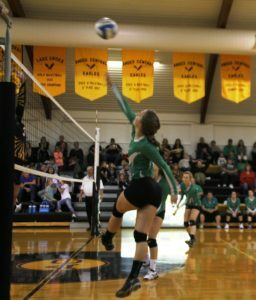 Colome volleyball team played in the Great Plains Conference tourney on Sept. 29. Tripp-Delmont/Armour defeated Colome in two sets. The scores were 19-25, 14-25. Carleen Burger scored 5 points, Saydee Heath, 4 points. Kaydee Heath had 10 kills. Makayla Shippy had 13 assists. Burke/South Central won in two sets over Colome 25-8 and 25-14. Kaydee Heath scored 2 points and had 4 kills. Kaydee Heath had 5 digs.